It has been a while since we've posted anything here on Steam. Sorry for the oversight there. In this entry, I'd like to let you know that I am no longer just myself here--I am representing Rockwell Studios. And we are pleased to tell you that development is going very well, that the Kickstarter funds have been well spent, and that we are just about done with major programming features and we are now starting to build a beta test. You can see the latest development video update on YouTube and you can see even more details on our latest blog entry[himekosutori.com] at the Himeko Sutori website. We are hoping to release the game to you very soon! For those of you interested in seeing more, check out the links above! Development is still underway and I will be relaunching the Kickstarter soon. 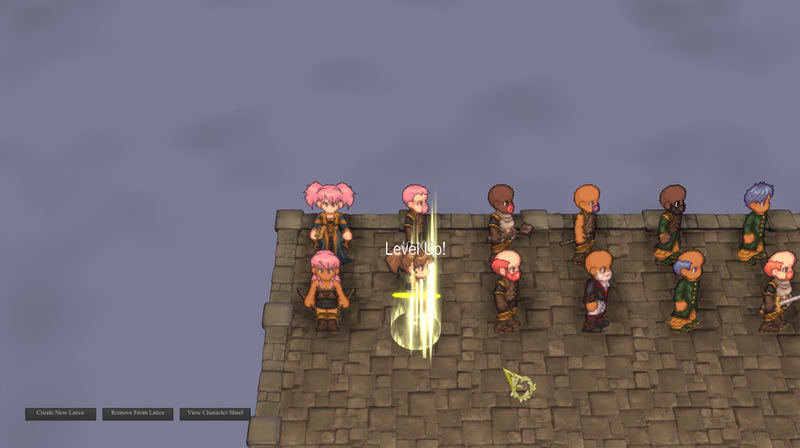 Himeko Sutori is a tactical JRPG for Windows and Mac that puts the player in control of an army of over 100 unique named units that you can customize, equip, and level-up as you uncover the schemes and betrayals that have thrown the kingdom into civil war. 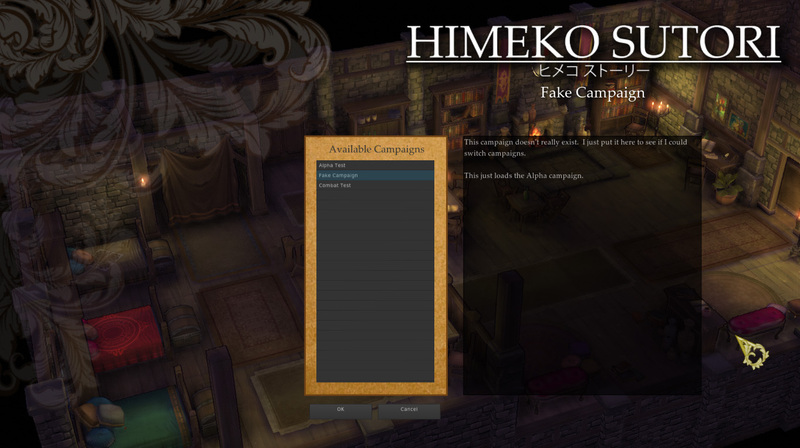 Himeko Sutori will also come with all the assets and code needed for players to build their own campaigns using the Unreal Development Kit. The game will feature a soundtrack by the immensely talented Kevin Won (http://www.kevinwonmusic.com/) and pixel art by Shane Butler (http://www.endymiongames.com/). Above all else, Himeko Sutori is an interactive story to be experienced, putting the player into a detailed, living world, full of vibrant characters. Set on a continent divided among three mighty empires, Himeko Sutori tells the story of three young women who get caught up in a civil war and who try to find some meaning in the chaos. Throughout their story, they will learn difficult truths, lose their way, and perhaps find victory, depending on how it's defined. But this story is just one of an infinite number that can be told through the game Himeko Sutori because every download comes with access to the Himeko Sutori campaign builder, where you can make your own story to share with others. The game plays out in two general modes, immediately familiar to veterans of JRPGs, who will be right at home switching from exploration to combat and back. The player will be able to wander through city and countryside, talk to NPCs, get quests, buy equipment, hire and promote soldiers, and discover new places. 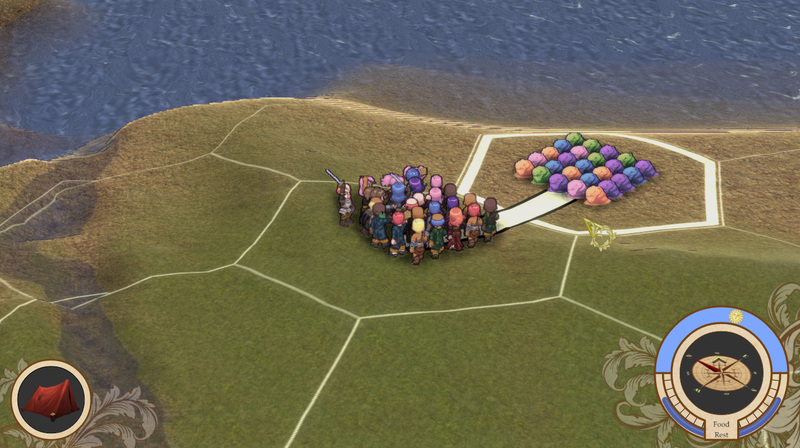 At times the player will be thrust into combat mode, where you and your AI opponent will take turns moving your armies squad by squad across the battlefield, positioning them for the best tactical advantage. In combat, each of your individual and unique characters will use his or her special abilities automatically to heal allies, pick off weak enemies, or deal out massive damage to enemy commanders. As you build your squads, you will have to make strategic decisions: Do you make a squad of all archers in order to maximize your ranged damage? Or do you mix in knights and clerics to make the squad more rugged in close combat? It's all up to you. If you've ever played games like Final Fantasy Tactics and Ogre Battle 64, you'll find some similarities here, but there is also going to be a lot that's totally new. Tactical RPGs have to strike a balance between epic scope and personal involvement with the characters. Before, this has meant that either the battles have to be very small, or the progression very impersonal. Now though, you'll get the best of both worlds. You'll have control over a massive army. And you'll get individual control over every character's progression and equipment. This will require a bit of a simplified level-up system so that you don't get bogged down with all the details of managing hundreds of characters. 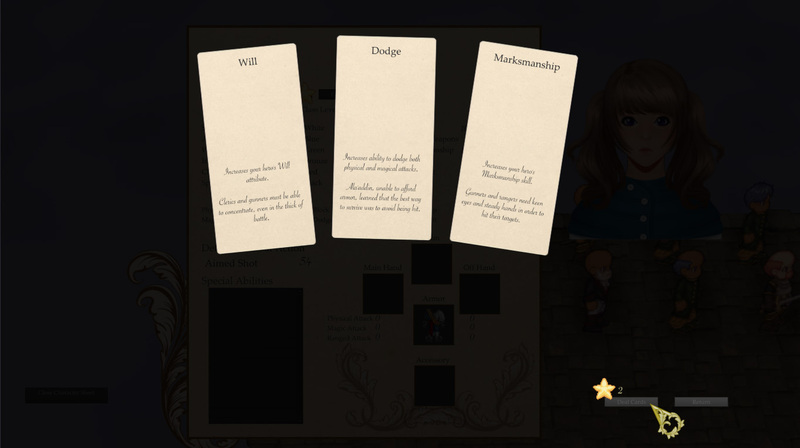 Himeko Sutori introduces a unique new system designed for simple but deep customization, allowing the player to explore new synergies by combining multiple classes' abilities. By cross-training in classes that share an element, attribute, or skill, your characters can explore new possibilities while still growing stronger in their primary classes. You'll also discover powerful action and reaction combos that will keep your squads alive while fighting much more powerful foes. For more information, see http://himekosutori.com/?page_id=130. Just download the free Unreal Development Kit, and you will be free to use all of Himeko Sutori's code and assets to make your own campaigns! The EULA will say that you're not allowed to make your own standalone executable, but aside from that you'll be free to make any kind of game you like using all the same tools I'm using. Not often do find something playable on greenlight. I definitely want this. Excellent, looking forward to it then. Good luck. Hey Vurahn, the Ogre Battle games were an inspiration to me, but the hits are a lot more consistent. You can see the updated combat engine (and a much better recording) in a video posted in the announcements section above. I'm still fine tuning the engine, but as you can see, with my current combat rules, roughly equivalent units will hit each other over 90% of the time. Assuming the third screenshot (the GIF) is the combat scene, the combat looks much like Ogre Battle: March of the Black Queen, a game on the SNES that had the most luck based, infuriating combat I've ever encountered in a RTS/TBS. To summarize: "Miss, miss, miss, miss, miss, miss, miss..." on and on. It would've otherwise been a great game for its time. I am extremely curious and willing to upvote and, if/when released, try it out, but I must ask one favor: give units a better chance to hit than OB:MotBQ had. I hated feeling like I was commanding a bunch of morons more afraid of their own shadow than the enemy that was wailing on them. Thanks very much Cheox! I hope to have a lot more for you soon. Thanks for voting. Great GREAT concept!!! Loved it! Thank you very much FireMonster246 and Kitsune-chan. I'm glad you like it. I've been pretty quiet for the last two weeks preparing for the GMAT, but with that out of the way (as of today), I'm back to work developing Himeko Sutori... Now that I'm looking through my old screenshots, I can see that I definitely need to update those with how the game's characters look now. I'll probably start there. Himeko Sutori has been Greenlit and is now listed in the Steam store. For the latest information, purchase options, and discussions for Himeko Sutori, please see it on the Steam Store or in the Steam Community.